Over the weekend days of September 7th and 8th, Auxiliary University Program students from Unit William and Mary taught the Basic Introductory Course (BIC) to their new members. BIC serves as an introduction to Team Coast Guard and provides a stepping stone to the many paths available to Auxiliarists. Pictured right: Auxiliary University Programs Unit William & Mary Unit Leader Christopher Weber addresses AUP students and staff at the weekend-long Basic Introductory Course at the College of William and Mary in Williamsburg, Va., Sept. 8, 2013. AUP William & Mary hosts an annual Basic Introductory Course Weekend to give potential new members a taste of the Coast Guard and Coast Guard Auxiliary. U.S. Coast Guard photo by auxiliarist Jonathan Roth. 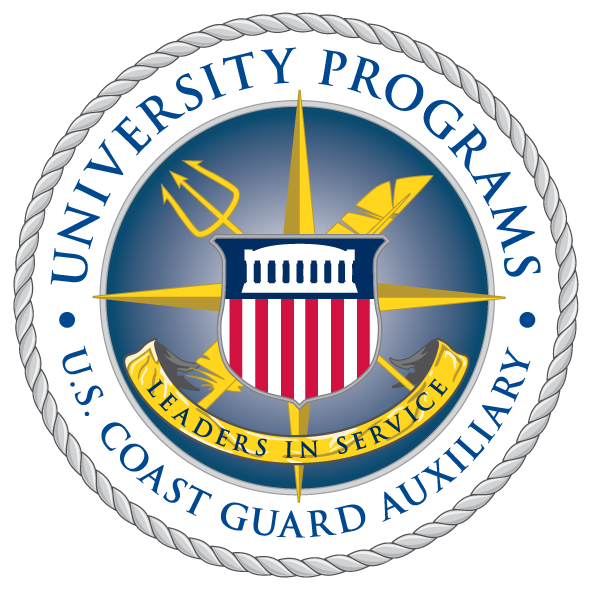 Each morning, the new members met at various academic buildings and outdoor facilities at the College of William and Mary in Williamsburg, Va., to learn the basic structure of the Coast Guard, Coast Guard Auxiliary, and AUP. Other topics included Coast Guard history, customs and courtesies and traditions. At the end of the course, participants took an exam to measure the extent of their learning and participated in a leadership discussion run by senior members. AUP encourages students to take ownership of their experience in the Coast Guard Auxiliary. In thinking about how to think different, a theme of AUP's Core Philosophy, students at Unit William and Mary took the initiative to redesign their methods of teaching and engaging students. As a result, this semester was the first time that AUP students taught the BIC course over a single comprehensive weekend, rather than self-taught or distributed over several weeks. The successes of the weekend, indicated by the enthusiasm of the new members, uniformity and structure of the lessons taught, opportunities for hands-on practice and timely delivery, will help improve the efficiency and performance of Auxiliarists throughout the country. Pictured right: AUP Division Chief Andrew Welch addresses new members at the College of William and Mary in Williamsburg, Va., Sept. 8, 2013. AUP Unit William and Mary hosts an annual Basic Introductory Course Weekend to give potential new members a taste of the Coast Guard and Coast Guard Auxiliary. U.S. Coast Guard photo by auxiliarist Jonathan Roth.